Dr. Turk is board-certified in Family Practice and serves as the Medical Director of Touchstone Ranch Recovery Center. He compassionately takes care of the medical needs of the clients. 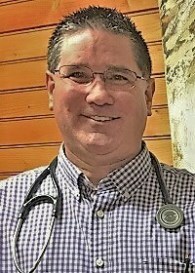 He graduated from Texas Tech University School of Medicine, Lubbock, Texas and from Texas A&M University with a Bachelor of Science in Biochemistry in 1987. Dr. Turk first became interested in medicine during summer visits to see his uncle who was a small town physician. Dr. Turk decided he too wanted to pursue medicine and serve the medical needs of a small town community.